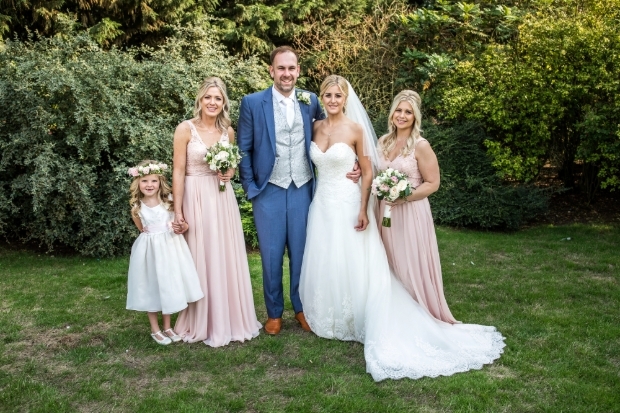 Faye and James' created a country garden-themed day at Lodge Farm. 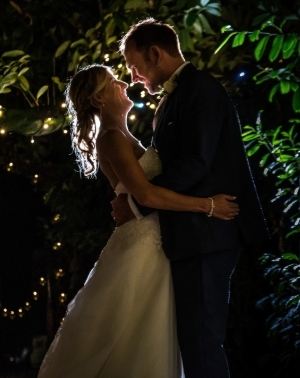 Faye Jackson, 38, married James Norgate, 31, at Pirton Church, followed by a reception at Lodge Farm on 31st August, 2018. My niece, Molly, was flowergirl and my sister-in-law Charlotte and friend Cheryl were bridesmaids. They all looked stunning on the day. 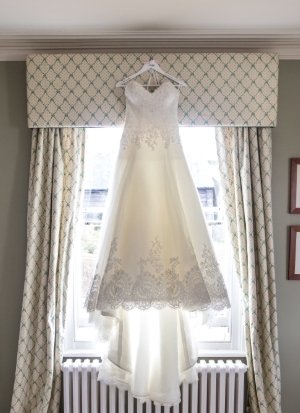 I was never a girl that dreamed about the dress for her big day so I had no idea what I wanted. I loved the sweetheart neckline, fitted body and the subtle sparkle. 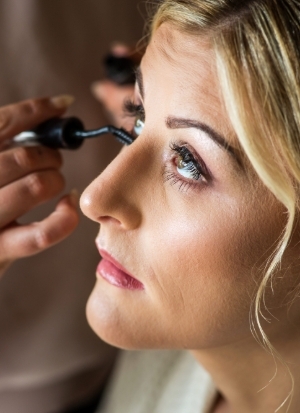 I'm not a big make-up wearer so I wanted to look like me but flawless. The first thing James said to me in the car after the ceremony was how beautiful and natural I looked. 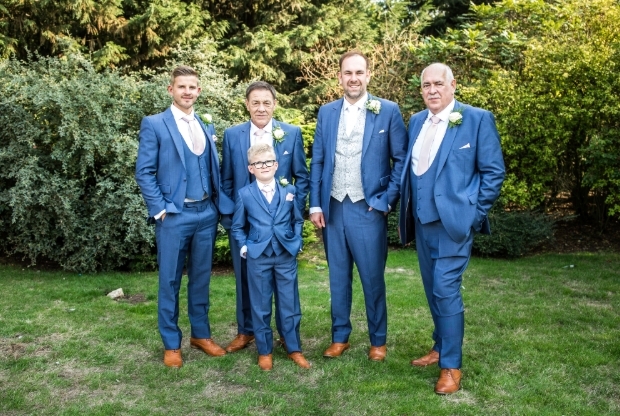 James and his groomsmen opted for blue suits and James wore a cream waistcoat, tie and hanky. Our nephew George, was pageboy although he wanted to be an usher like his dad. 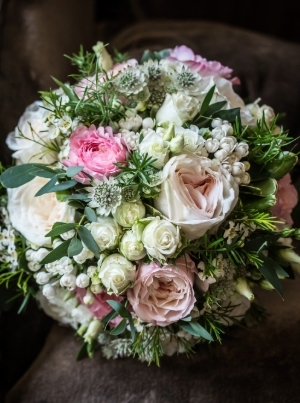 For my bouquet I opted for a wild look that contained a mixture of cream and pastel pink flowers. 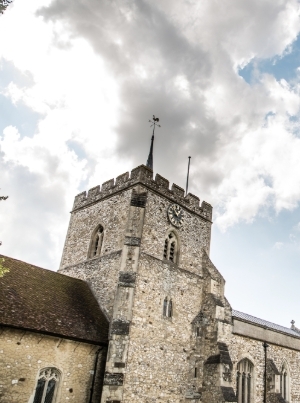 We chose Pirton Church as it was where James was christened. We had a saxophonist playing as the bridal party entered the church. 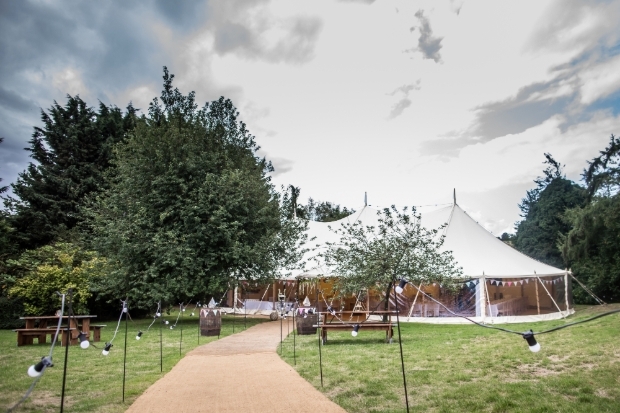 We fell in love with Lodge Farm. I've had horses for 30 years and with it also being at a livery yard it was the perfect magical place. 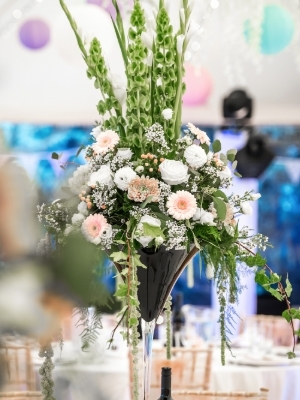 I knew I wanted tall table arrangements to suit the height of the marquee. We stood flowers in tall martini glasses on mirror plates for our centrepieces. 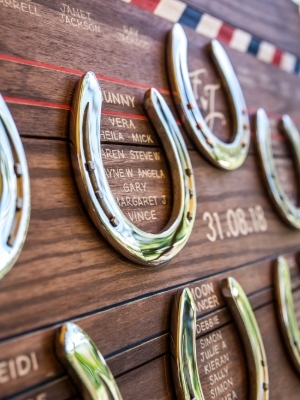 We knew we wanted a table plan with horseshoes on it. My brother's a local farrier so he made them and we were blown away when we saw it for the first time. 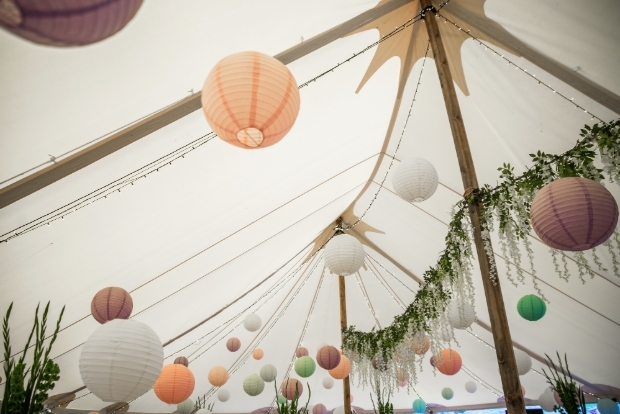 We had lots of pastel-coloured paper lanterns on the ceiling of the marquee and hanging wisteria from pole to pole. 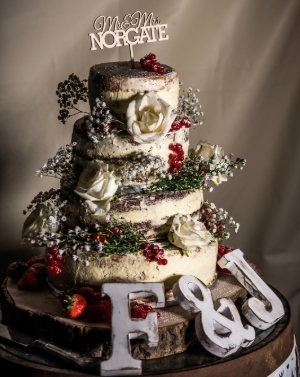 Our semi-naked cake suited the rustic look of our day and the lemon and elderflower, orange and poppy seed, carrot cake and chocolate tiers tasted amazing. 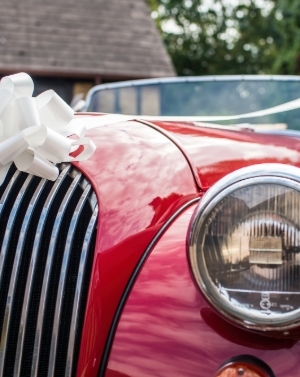 I travelled to the church with my dad and James travelled in a friend's Morgan. As we pulled into Pirton Village the song that I was just about to walk down the aisle to came on the radio – spooky! 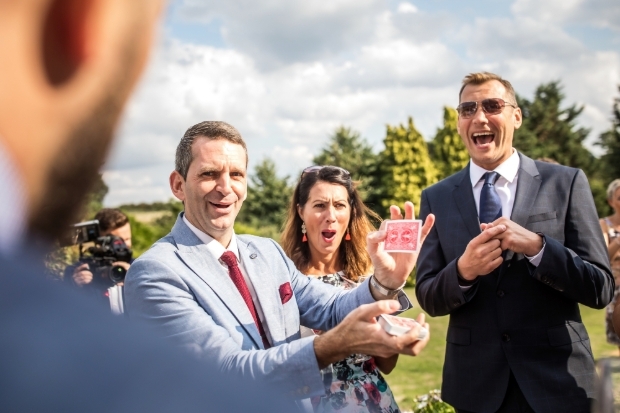 Lee Smith magician entertained and stunned our guests in the afternoon during canapés and drinks on the lawn and we also had the saxophonist as background music. We used Disco Nyts for our evening disco with a white starlit dancefloor and uplighting. 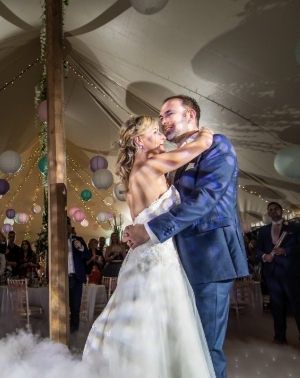 The first dance was magical – we had dry ice and a confetti cannon. During the evening James and I sat on the hill looking down at the marquee full of our friends and family having a brilliant time. We both felt so blessed that we'd done it.